How much does it cost to hire an aerial photographer? There are three components we consider when pricing a job: Travel time, flying time, and editing time. Our rates are incredibly affordable, costing much less than conventional aerial imagery. Our rates can be found on our rate page, and include only travel time and flying time. For most jobs, litttle or no editing is required, so no additional charges are necessary. Complex video scenes often require one or two additional hours to properly edit. These jobs will be estimated so a fair price can be agreed upon before we begin. Why should I hire Drone Photo Shots? We fly only the latest technology. When compared to conventional helicopter or small plane images, the difference in quality is obvious. In the past year, there have been tremendous advances in drone imagery. Before, there were issues with distortion, image quality, and limited flight time and risk of damage. With our state of the art equipment, and our commitment to constantly update our machines and software, Drone Photo Shots can outperform other aerial photographers, while offering better pricing, better service, and outstanding results. Can I shoot down a drone flying over my property? No. But you can (and you should) report any drone activity that you feel has invaded your privacy or may constitute a trespass. Remember though that the FAA regulates all US airspace, and views unmanned aircraft in the same category as manned aircraft. If a plane flies over your yard, you cannot shoot it down, and it would not be considered trespassing for a plane to do so. The same rationale applies to drones. They can fly over your yard, and even take pictures of you property from above, but they cannot interfere with your right to privacy, so drone pilots must use sound judgement and courtesy, just as a manned aircraft would be expected to do. Is it legal to fly over public or private properties? Commercial drone pilots are now required to pass the rigorous Airmen’s Knowledge Test as part of the FAA Licensing Requirement. Any drone pilot flying commercially without this license is subject to criminal prosecution and heavy fines. 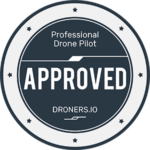 Once this license is obtained, drone pilots are subject to the same laws as regular manned aircraft pilots. Since private property rights do not extend into the sky, anyone can fly over private property. However, bystanders and property owners have a reasonable right to privacy, so any drone activity that threatens that right is irresponsible and potentially illegal. Can I hire a drone pilot to take pictures of others without their permission? Drone photographers are subject to the same liberties and limitations as all other photographers. This means that in public and private places, photography is allowed as long as it is not deemed an invasion of privacy. Nevertheless, Drone Photo Shot pilots will never fly within 100 feet of any individual or group without consent. Please contact Drone Photo Shots in Kent, CT 203-733-5934!